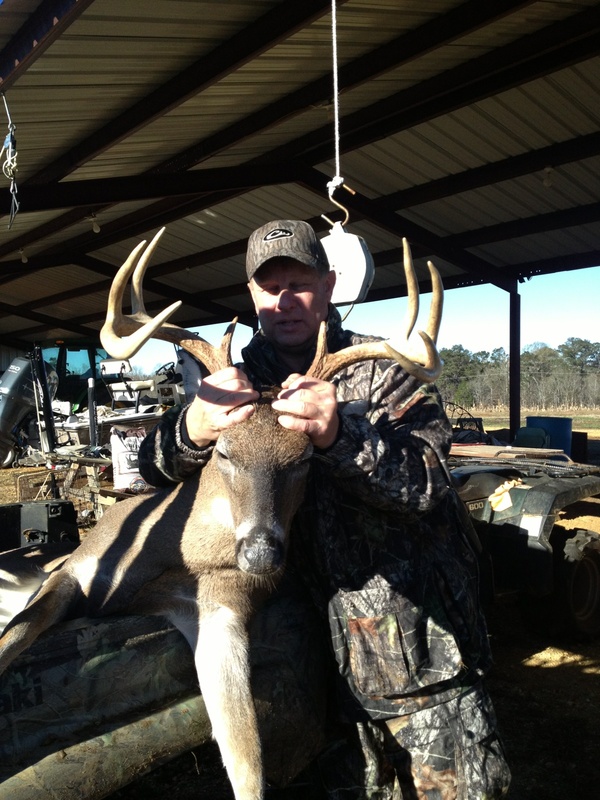 Chuck Harland, an avid deer hunter, harvested this fine mature nine point buck while hunting with Marve Breeding, owner of Sandy Ridge Timber LLC, located in Lowndes County. Marve has worked hard for the past several years managing his property for wildlife and timber production, focusing primarily on producing large whitetail deer. Marve is working closely with The Southern Land Brokers and experienced local biologist to take his deer heard to the next level. This is the third mature buck taken this year from his 1820 acre tract each in the 200lb. range.